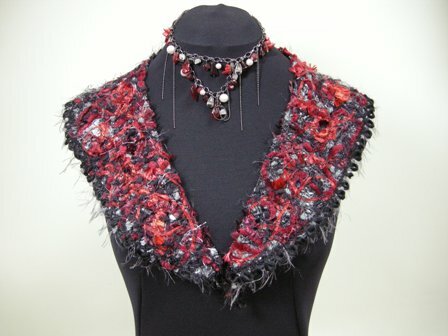 Take a sneak peak at what you can make in Maree’s Designer Top Workshop No.3!! 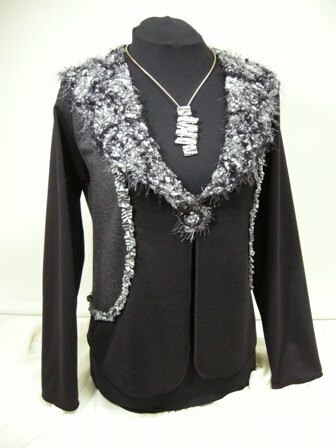 Includes Unique Fabric Making and Embellishment Techniques! Or with a touch of red! 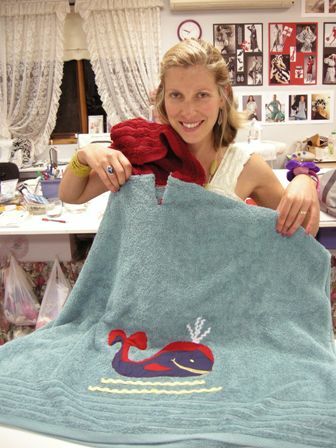 Click below to watch her short video and learn two changes she made to the original pattern. Also hear about the special places she has worn it! Georgina was very happy with her dress and highly recommends this dress pattern being very comfortable to wear. Well done Georgina and thank you so much for sharing it with us all! Tanya made a cute towling jacket for her little son Dylan in Maree’s Sewing Classes at Rosewood Cottage. 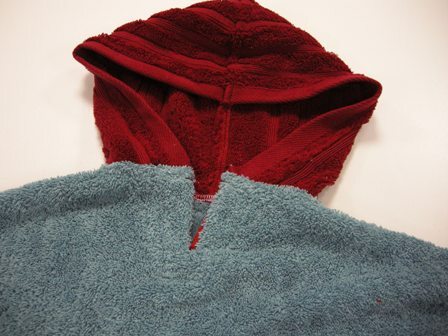 Tanya used a blue bath sheet for the main and a red hand towel for the hood. 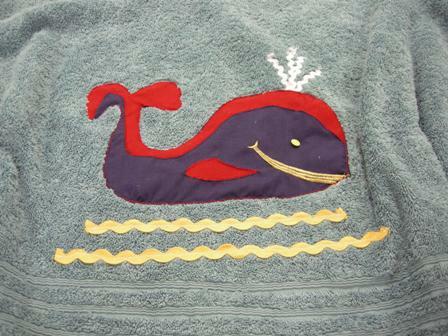 Tanya included a lovely whale appliqué with ric-rac trim for the waves and water spout. Tanya also made a hood with a V at the neckline. Well done Tanya I’m sure little Dylan will love it!